Catherine works out of Conway Mill in Belfast, appropriately it’s an old linen mill, refurbished in 2011 and home to a variety of artists. On its top floor these days, when she isn’t dashing around the rest of Ireland teaching workshops, you might find Catherine combining elements of the places she has called home, Japan and Ireland, to produce some of the wonderful products at Mottainai. 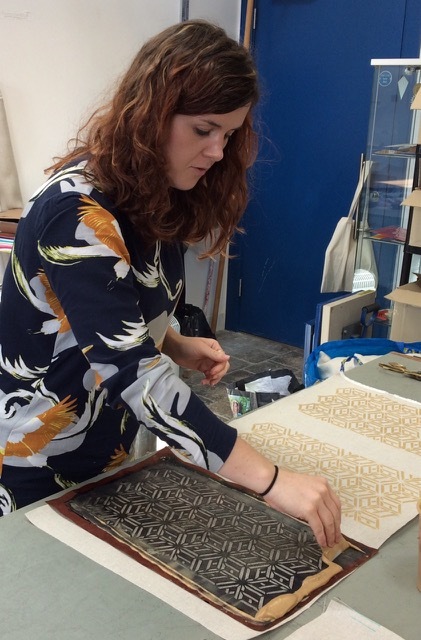 Arriving in Japan after six years in Manchester where she studied textiles and fashion design Catherine found herself searching for a new challenge connected to her interests. After months of searching, cajoling colleagues and inquiring via friends she hadn’t struck upon anything. Eventually a simple google search, of all things, set her on her way. Not only the indigo, but the techniques that go into forming those beautiful patterns you see on all of Catherine’s work. In particular she fell in love with Shibori. A technique she now teaches to her own students. While Bryan isn’t quite the kind of name one reaches for when one imagines a master Japanese craftsman a brief look at his own website and a few words with Catherine will attest to the fact that he’s clearly as passionate about his craft and teaching as Catherine herself is. “You get to this little old Japanese farmhouse [according to Bryan’s blog it’s perched on a vertical slope in a village north of Tokyo] … there would be other students there, but he taught in quite a different way than other classes and workshops I’ve done. It was very student led so you come with work that you wanted to do or he would send you home with ideas and people would create their ideas and then come in a week or two weeks later with the new thing they want to make so it was very, ‘I want to do this’ and then he would help you and teach you through that way rather than him have a set plan of how the class was going to go. After a few years Catherine felt like it was time to come back to Northern Ireland. Yet, it wasn’t such a simple decision. She admitted that leaving behind, sushi, onsen and the Japanese climate would be a wrench but where to go next? Mainland UK or Ireland? A visit home with her mum set her on her path back to the Belfast area. A chance to be closer to her roots after nearly a decade away and the possibility of contributing to the design scene in Northern Ireland clearly held a lot of sway. In particular the opportunity to give something back through teaching appealed to someone who clearly relished her day job back in snowy Gotenba, a small city nestled at the foot of Mt.Fuji, where she had previously been based. It was hardly a new idea to her though. Someone who is willing to move to the other side of the planet, to the foothills of Mt. Fuji no less, they’re not exactly afraid of a challenge. Certainly not guilty of wasting many moments in life. Yet, for all the positives one might imagine of living in Japan, it’s probably its challenges that end up being the most rewarding. Even within the support structure of the JET programme you’ll inevitably be encountering situations that cannot possibly be planned or prepared for entirely. The way Catherine talks about what she’s doing, there’s clearly a real love and passion for it. She talks about indigo and linen in the same way anyone doing something that fascinates them does; there’s a quiet glee in the way she talks about it, like she still can’t believe she’s allowed to do this for a job. And next for Catherine and Mottainai? India one day perhaps, for more of the same indigo and to pick up a few new techniques. Otherwise though it’s hard to imagine Catherine doing anything else, indigo dyeing has very clearly got under her skin. Appropriately enough, that appears to be a membership requirement of the trade. If you’ve found yourself here chances are you know me by another title; Marshmallow Sensei. If you’ve been keeping up with that blog at all, thank you very much indeed. All the messages and support were gratefully received. I’ll still blog at Marshmallow Sensei from time to time when something worth writing about in Education or Language Learning crosses my path. However, it’s time for a change of pace. While sharing my story so far with you all has been a great experience there are people out here far more interesting than myself. What this site is aiming to be is a regular window into the less sensational but no less interesting world of modern Japan. I’ll be talking to people who live here as well as those whose lives tie them to Japan in some way. I hope you enjoying reading about them as much as I enjoy talking to them. 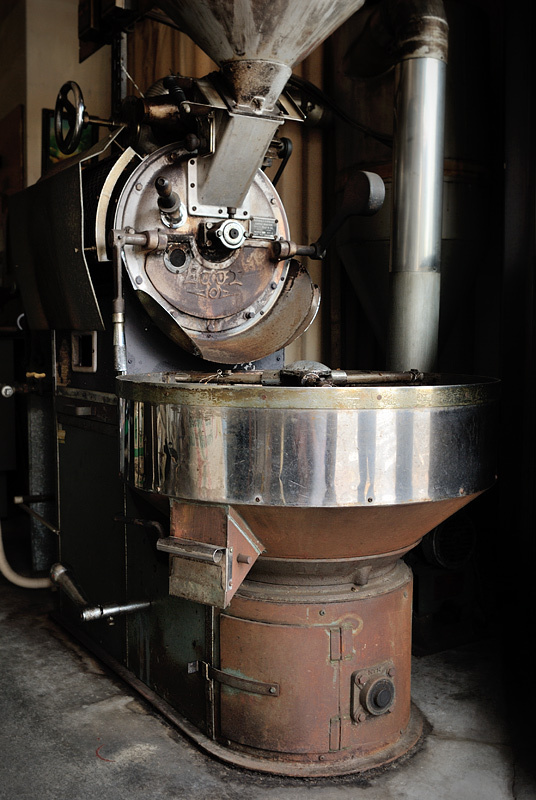 The roaster is a beautiful piece of machinery. There’s a polish and a slickness to the wheel that only comes with age and regular use. It’s modern, but in an older sense of the word. The equipment looks industrial, not like something from a lab. It produces steadily, earnestly and does so guided by human hands. 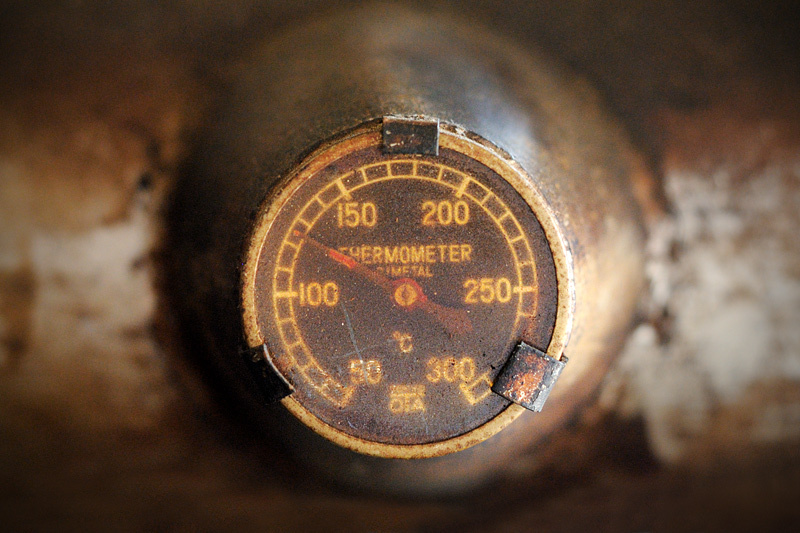 It may lack precision by modern standards but there’s a beauty in the variance it produces. It won’t produce a hundred varieties. There is no gente, or limited edition, as we say in English, available. 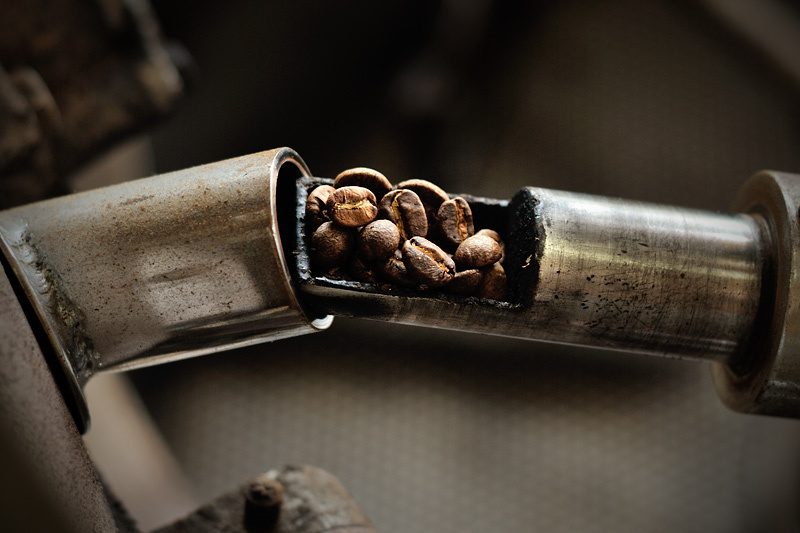 It’s all the product of ageing pulleys and cogs, ember glowing forcefully from a singed window pane and the discordant clang of steel on steel as a rush of freshly roasted beans descend into the trough below. The aroma is incredible. If a couple more parts break and can’t be cobbled back together, that’ll be the end of it. They don’t make machines like this anymore; more antique than artisan. Coffee is not the word people reach for when you mention Japan. If you read certain magazines you’ll be aware that artisanal coffee in Japan has taken off in a big way. If you read business news you may know that in the last eighteen years alone Starbucks Coffee Japan has opened 1034 stores nationwide. Tully’s, in name at least, has 555 stores nationwide. For most young Japanese that’s what coffee is to them. It’s western, it’s typical, it’s frothy and gente and an everyday place. 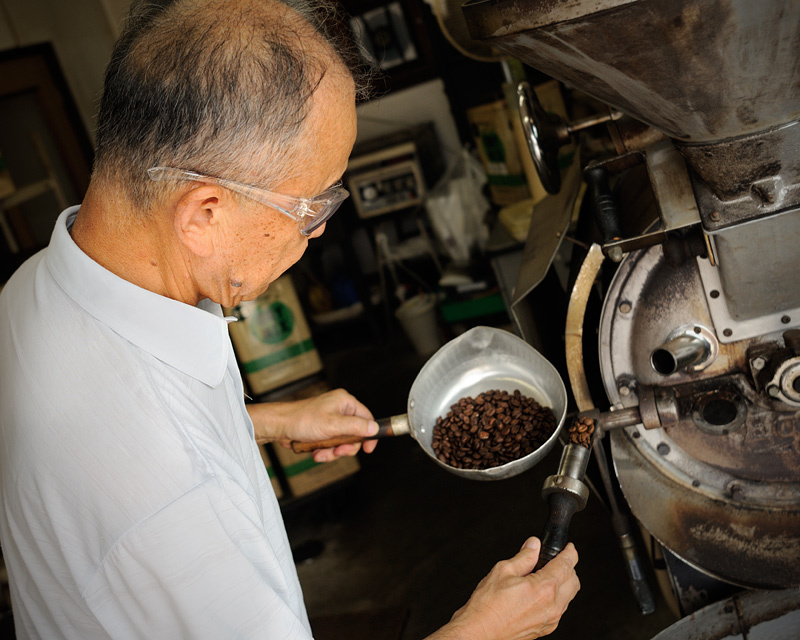 Nobody takes lessons in coffee and sees it as a way of getting in touch with the roots of Japan’s culture. And yet, perhaps they should. Because for all the beauty that can be found in a traditional tea ceremony or discovered strolling in temple gardens, modern Japan, and the formation of what that means, has as much to do with coffee as it does with car factories and bullet trains. 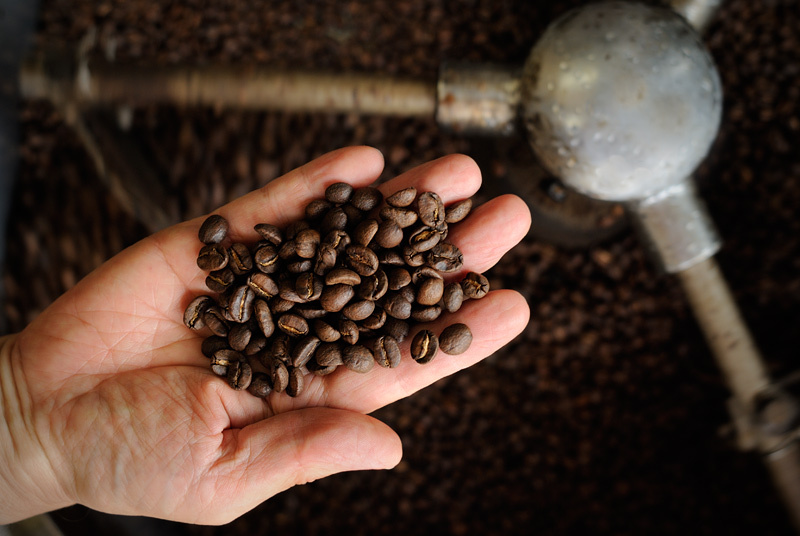 The story of coffee in Japan begins somewhere between London and turn of the nineteenth century Santos, tracing its story in an internationalism that even in modern Japan seems unlikely. Hattori-san’s story, and that of his café, or kissa as it is would be known in Japan, Daiya Ko-hi-, begins with a young man in Beijing. Far from London’s Coffee Houses and the plantations in Santos it may have been, but it was no less part of the same story. The day Hattori-san and I spoke was a hot and humid day in Shizuoka prefecture but the kissa was a cool retreat from the outside world as we sat down to talk about how his shop came to be and the life that led to it. Before we sat down I had known that Hattori-san was born in Beijing to Japanese parents. That alone had struck me as interesting enough in a country as notoriously insular as Japan. The intention had been to glean a sense of the path of the modern kissa, how it had changed and grown over the years. I hadn’t anticipated that it’s origins would stretch as far as they did; that a single shop might connect so many far flung pieces together. “because you know for Japanese, maybe it was a good opportunity to be a master of some kind of branch…and even if he was very young he can get some small shop and with some Chinese people and he just start, not a franchise, but a kind of manager and I was also, you know, born in Beijing, but after the second world war we had to return to Japan, and he just, you know, he has some experience of management of coffee shops so he started this kind of shop in Yokohama. “not only coffee, some canned foods, or some lemon, because around this area traffic was not so good, so many shops had a hard time to get those materials, so he just bought there and carried around here to sell those things. 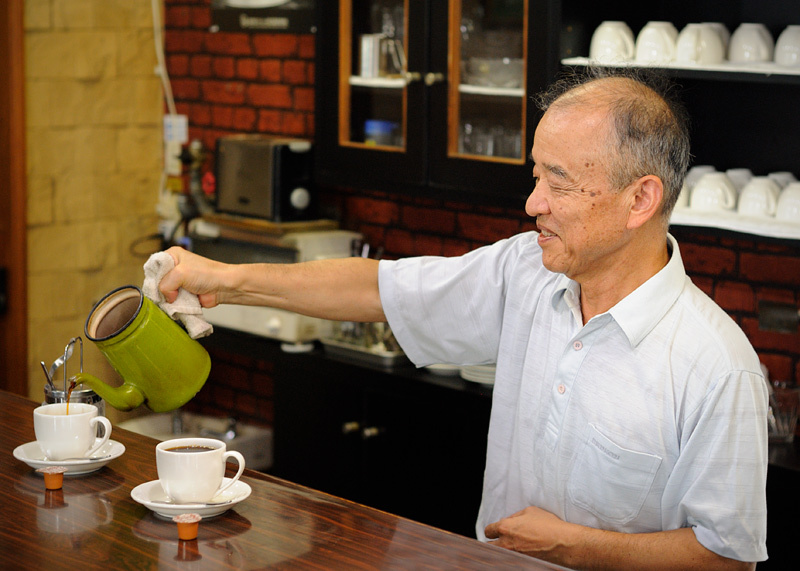 Coffee holds an unusual place in Japanese society. Most things in Japan have a prescribed method, way or dou. Think Judo, or Sado (Tea Making, the way of tea) and Shinto (the way of the gods). Coffee seems to be exempt from adherence to a recommended route. Granted you’ll find many a coffee shop master has found his own path, or picked up one from his own master, and stuck to it rigidly ever since. The reason the coffee shop has spread and become a normal part of Japanese life is that it permitted, and continues to permit, a deviation from the designated roles and rules of your life. It is adaptable. It is unfettered and free. Hattori-san came home and his family found their own path in the coffee shop. But that isn’t to say it was a path solely determined by them. Kissa are public spaces and in a country where omotenashi (translated into English it means hospitality though, frankly, that doesn’t do it justice) is a huge part of the culture it’s inevitable that while Daiya Kohi is very much a reflection of Hattori-san and his family, it is also a place defined by it’s regulars or jyoren. I had expected that Hattori-san would have learned how to brew his coffee from his father. I imagined plenty of instruction, a great deal of guidance. I had an image of a Japanese school teacher at the front of the classroom. However, it wasn’t like that. Honest customers indeed. They had reason to be. Hattori-san also sells wholesale to other shops. So his kissa and his coffee have adapted over the years. In the boom years they did well. When his sons went off to university he could afford to relax a little more. But if the spread of coffee shops across Japan was dependent on their ability to move with the times, to bend and flex to the needs of their owners and clientele then what happens to places like this? Do they adapt to new customers? Not often. It’s not that Daiya Kohi hasn’t adapted with the times. Nor could Hattori-san be accused of such a thing; the two 3D printed pencil cases he owns and designed attest to that. However, much like your upbringing and childhood affects who you will be one day become, opens doors and slams others, the people, the regulars a coffee shop initially serves and those who remain loyal over the years; it adapts for them and with them. And how long have they, the regulars, been coming? The oldest one is more than thirty years. Sometimes those people, rather old, come and say, “This shop was the one located a few blocks away , wasn’t it?” and I tell them, “Yes, my father’s kissaten was about two blocks away, we moved here.” Some say, “When I was a high school student sometimes I stopped by” or, “When I was a child my father brought me here.” It was very small and packed with regulars. They very much enjoyed the atmosphere, talking, listening and arguing, they each felt like they were a member of one big family, they felt united. In small spaces it’s hard to find a place for oneself when other people have carved their own over thirty years. Yet, a shop can only last as long as its customers. With no space in the old kissatens dotted around Japan for a new generation to find a place, to find peace and quiet and privacy, they inevitably have gone elsewhere. Generally you find young people in a Tulley’s, Starbucks or the ubiquitous Mr. Donut. Yet, Hattori-san doesn’t see these places as a threat. These places offer something the smaller independent places often cannot. There is no master to set the tone in a chain coffee shop and no real regulars of which to speak. You can walk in and enjoy a moment of anonymous peace and quiet. That is no small joy in a country where privacy is hard to come by. But, as these chain stores continue to expand, does Japan lose something in that expansion? Note: Special thanks to Steve Smith over at https://monkeybrainsushi.wordpress.com for the wonderful camera work. And of course thanks to Hattori-san for sharing his story while making us a fantastic coffee as always.